Caption slip reads: "Photographer: Lapp. Date: 1952-01-24. Reporter: For Newman. 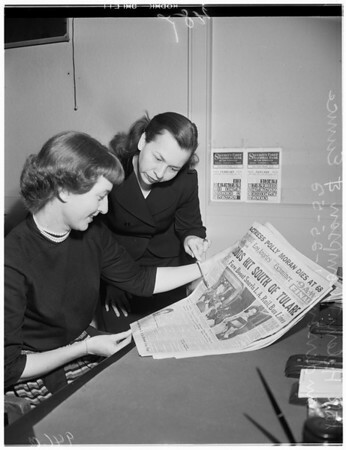 Assignment: LATL Fare Increase Story.47-48: L-R: Helen Thompson and Eunice Anderson.For later use."